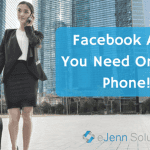 So, you need help with making your business visible in search and on social media websites. You’re not alone. Sixty-three percent of modern business owners report their greatest challenge is generating enough website traffic and leads. 1. What Types of Tools and Tactics Do You Use? If a potential SEO consultant admits to using only one or two tools or tactics to enhance client visibility, run for the hills. Your business is likely best-served with a combination of research, social media and quality content marketing. 2. Do You Do Social Media? While the precise details of Google’s website ranking algorithm are top-secret, experts know there are hundreds of factors used to determine which pages should appear first. Retweets, Facebook likes and other social media engagement send a clear signal to Google about your content’s quality. “If a customer-focused content marketing program is the sandwich, then SEO is the mayonnaise,” says Lee Odden. You’re not going to get very far without high-quality blogs, website pages, social media posts and eBooks. 4. Do You Do Local SEO? Why or Why Not? 30% of mobile searches are related to a location search! Of that traffic, 76% of those people walk into a location from those searches that day! Out of that percentage of people – 28% resulted in a purchase. (Source: Google) The right SEO, social media and content marketing tactics for driving traffic to a small, locally owned business are drastically different than the right marketing campaign tactics for a national eCommerce brand. Make sure your SEO company knows the difference and can generate local traffic for your business! 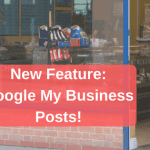 If you haven’t already gotten a Google My Business Page – click here to learn and start a local Google business page! 5. How Do You Design Client Strategies? Nearly one-third (27 percent) of today’s executives know that their businesses faces the challenge of achieving digital transformation in order to survive. Building an online presence your customers can easily find and love is at the core of your future revenue. If a prospective consultant doesn’t plan to build a fully customized strategy around target market research, you may struggle to achieve returns. Conclusion: SEO Is Constantly Changing. Are You Prepared? As consumer behaviors change, SEO, social media and other forms of digital marketing are constantly evolving. Hiring the best SEO and social media consultant for your business matters. By finding an expert who understands the importance of quality content and social marketing, you’re a lot more likely to win. 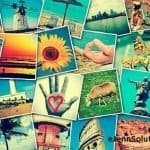 We are a social media company that works with great SEO teams. Interested in interviewing our SEO team? We’d love to hear from you here: Contact eJenn Solutions SEO team!